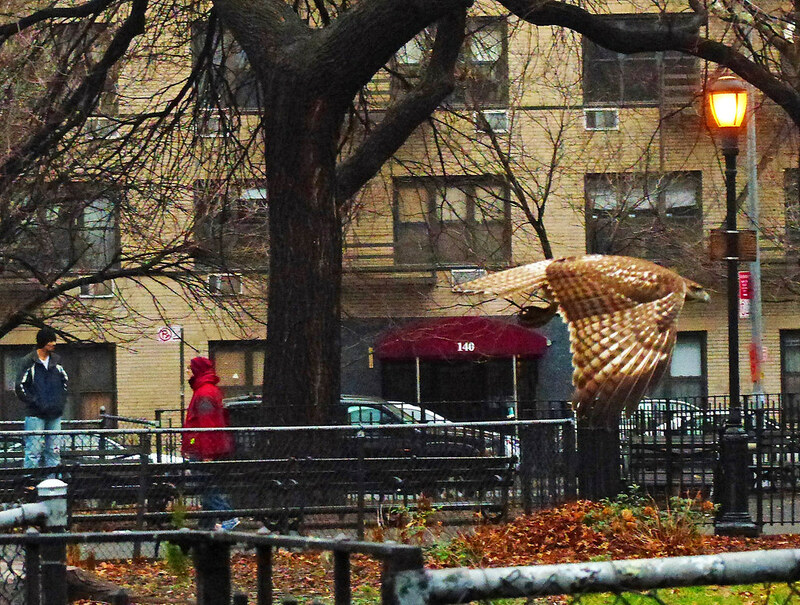 It was a dark and dreary day today in Tompkins Square, but that didn't keep the hawks away. An adult and juvenile hung out around Avenue A and 7th Street, and I think they are the same two I've been seeing for the last several days. 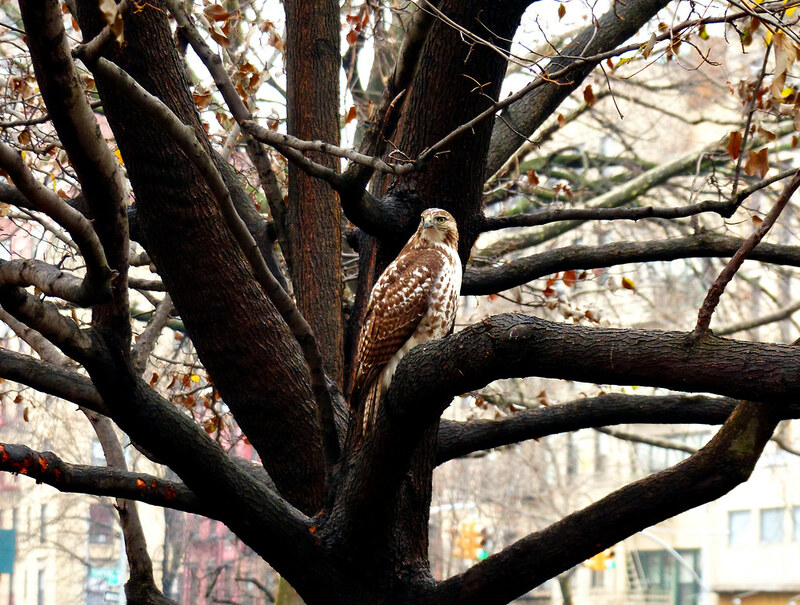 If so, the juvenile below would be the same hawk that had a hurt foot, and collided with a glass bus stop. 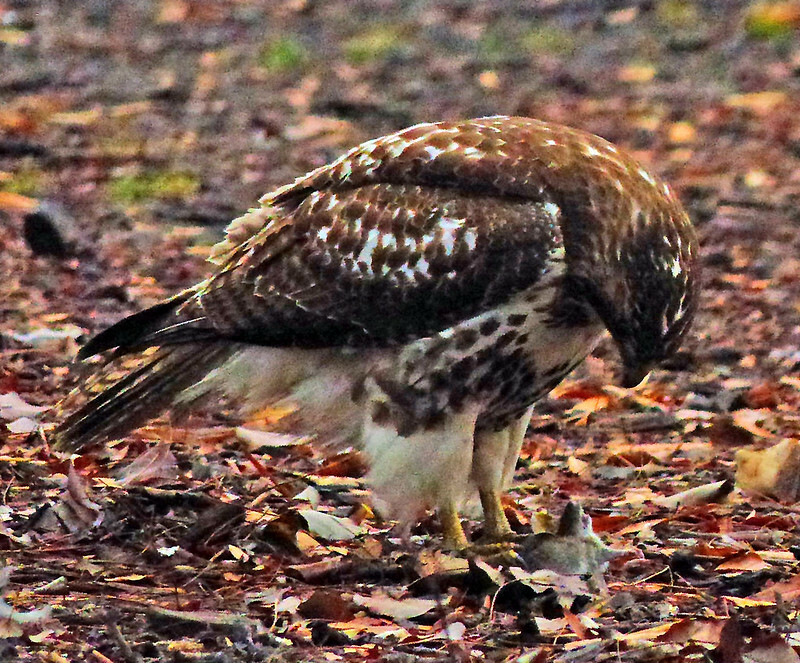 After eating the mouse, the hawk went looking for more. It flew into this tree where a mouse lumbered around the ground at its base. I do NOT want to come face to face with this!